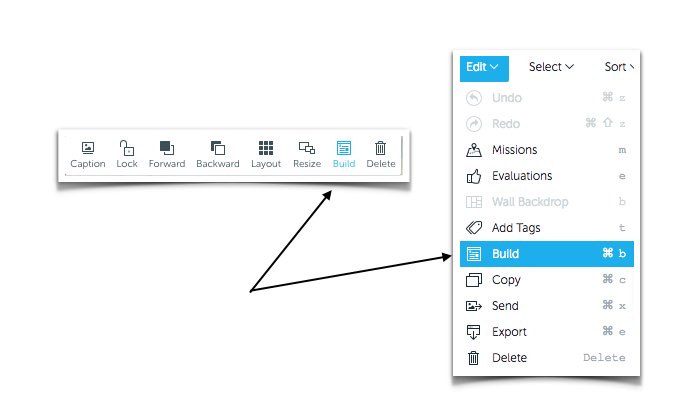 Build cards (Idea, Insight, Theme etc) from multiple selected asset (up to 20) on a wall using the "build" button. 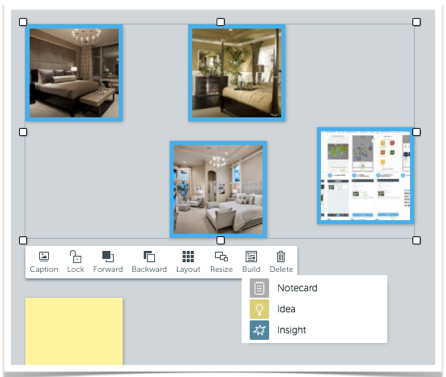 Choose assets on a wall and use them as a starting point to build a new Card using the new “Build” button on the toolbar or from the edit menu. Select up to 20 items, click “Build,” then choose what type of Card you want to build. When you click build the card options for your wall will appear. Select the card type and it will be created with those assets added automatically. 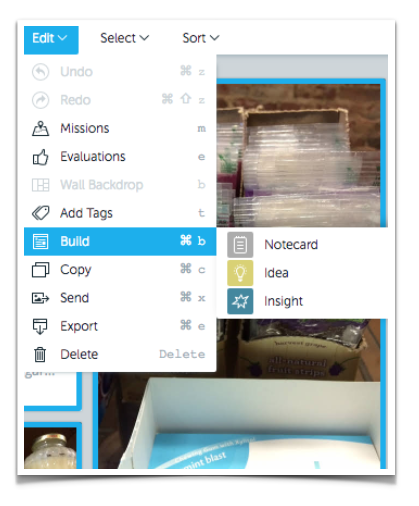 Then you can fill in all the other details - Card Title, Descriptions, Tags and more.